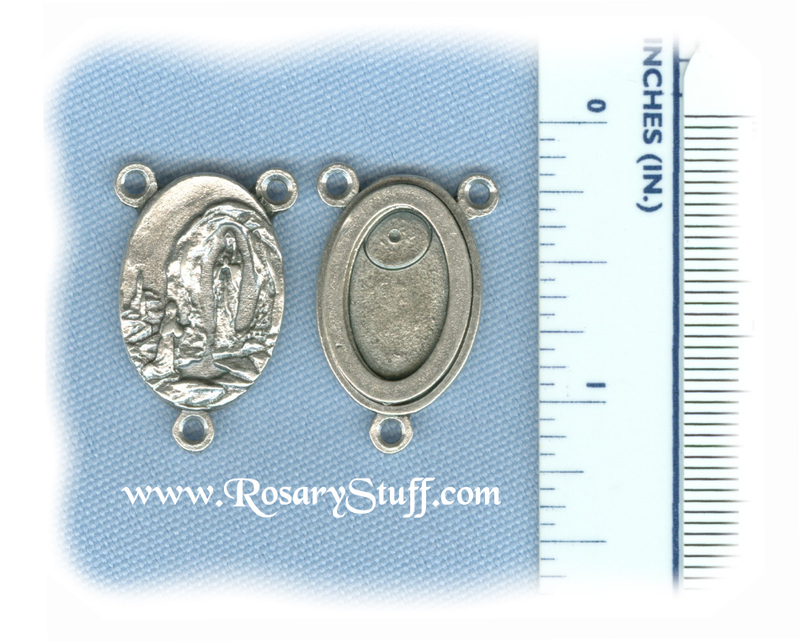 Simply designed, large Italian oxidized silver plate Lourdes rosary center with a Water from Lourdes. This center has a lot more water in it than my smaller water centers. It is 7/8 inch tall (not including bottom ring) by 5/8 inch wide (not including side rings).